I’ve written about jigsaw puzzles often in the past, because they’re an integral part of the puzzle world. 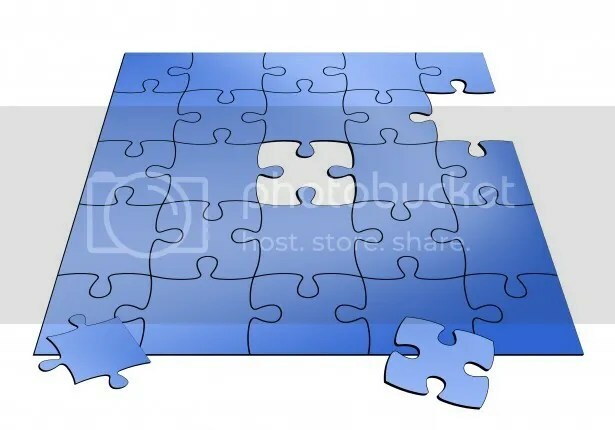 Whether we’re talking about the world’s largest jigsaw puzzle or a stone jigsaw puzzle curtain, an incredibly difficult puzzle with only 14 pieces or an entire house disassembled and rebuilt jigsaw-style, there seem to be endless variations in how jigsaw puzzles are brought to life. Puzzle designer Clemens Habicht has an intriguing new take on the jigsaw puzzle, one that plays with a common solving technique. Many jigsaw solvers organize pieces by color, focusing on one part of the final image and then moving on to the next. But what if every single puzzle piece was a different color? Habicht has created a 1000-piece jigsaw puzzle that abandons any image clues other than color. There are no buildings, no animals, no hard lines or edges to locate. You’re using only your natural ability to distinguish between various color gradients to complete the puzzle. Eschewing the classic ROY G BIV rainbow, this puzzle instead uses the color printing model known as CMYK, which stands for the four inks used in color printing: cyan, magenta, yellow, and key (a.k.a. black). 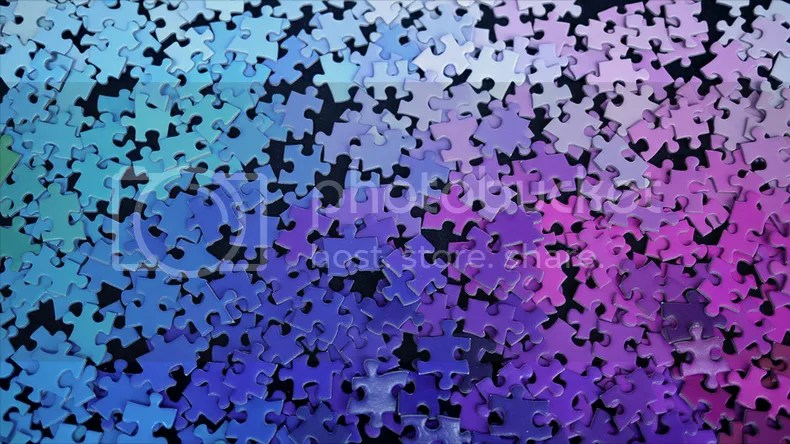 Habicht claims that the puzzle is actually easier to solve than the average jigsaw, because each piece is connected to every other piece in one continuous spectrum, creating an associative puzzle-solving experience. What do you think, fellow puzzlers and PuzzleNationers? Is color-based solving more intuitive or less? This entry was posted in PuzzleNation, Puzzles and tagged 1000 colors, BaffleDazzle, Clemens Habicht, CMYK, Geeking Out, jigsaw puzzle, Pop culture, PuzzleNation, Puzzlin' fool, Puzzometry, ROY G BIV by gmdirect. Bookmark the permalink.